Police officers have released CCTV images of two men they wish to speak to following a robbery in Oasis Retail Park, Corby. The incident happened when a woman took some money out of a bank in the area. 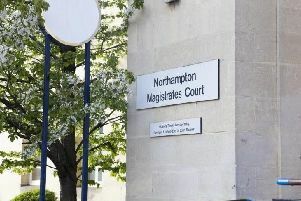 A spokesman for Northants Police said the victim, who was with her two young children at the time, was grabbed and pulled to the floor before the robbers escaped with her money. Police have only just released details about the incident, which took place on Tuesday, August 28, at about 3.15pm. The men in the images or anyone who recognises them is asked to call Northamptonshire Police on 101 or Crimestoppers anonymously on 0800 555111.